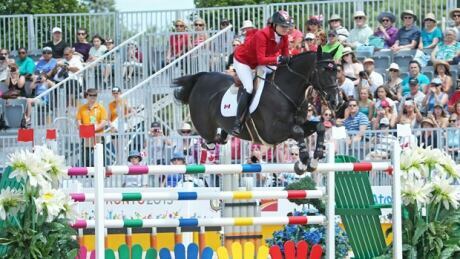 Canada earned the gold medal in the team equestrian competition Thursday at the Pan American Games, clinching an Olympic berth in the process. Show jumping at the Pan Am Games started on Tuesday and that means learning the strange names for some of the horses. 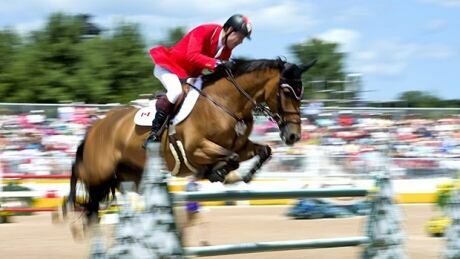 Olympic gold medalist Eric Lamaze and 9-time Pan Am Games medalist Ian Millar will lead Canada's equestrian team at the 2015 Pan Am Games, July 10-26. 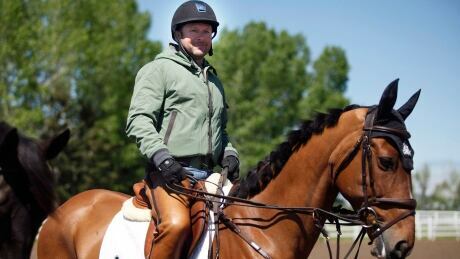 15 riders, including reserves were named to compete in dressage, eventing and jumping. You are currently browsing the archives for the Sports/PanAm (Actual)/Equestrian-Jumping category.